* @param rs the result set (ResultSet) object. * attributes: type, size, nullable. * @exception Failed to get the result set's metadata as XML. // of this ResultSet object's columns. * as XML (represented as a String object). * @param rsMetaData the result set metadata object. * @param columnNumber the column number. * meta data as an XML. // for use in printouts and displays. // Gets the designated column's name. // Gets the designated column's SQL type. // Gets the designated column's SQL type name. // Gets the designated column's class name. // Gets the designated column's table name. // Gets the designated column's number of decimal digits. // digits to right of the decimal point. // automatically numbered, thus read-only. // Indicates whether the designated column is a cash value. // column will definitely succeed. // in the designated column. // is definitely not writable. // column are signed numbers. // Gets the designated column's table's catalog name. // Gets the designated column's table's schema name. * Append attribute=value to the string buffer denoted by sb. * @param sb the string buffer. * @param attribute the attribute name. * @param value the value of the attribute. What Is The Relationship Of Resultsetmetadata To Other Objects? What Is The Weakness Of The Resultsetmetadata Interface? How Does Jdbc Define Resultsetmetadata? How Do You Get A Table's Metadata Without Selecting Any Rows? How Do You Retrieve The Column Types From A Resultset? How Do You Retrieve The Column Name/data/type From A Resultset? How Do You Handle Jdbc Errors/exceptions? What Is Jdbc Metadata Programming? What Is An Example Of Jdbc Metadata Programming? How Do You Discover Database Metadata? What Is Jdbc's Answer To Database Metadata? What Is The Vendor Name Factor In Database Metadata? 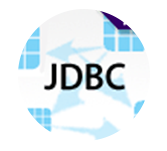 How Do You Find Jdbc's Driver Information? What Are A Database's Sql Keywords? What Are The Available Sql Data Types? What Are Catalogs And Schemas? What Are The Table Names For A Database? What Are The View Names For A Database? Does A Table Exist In A Database? What Are A Table's Column Names? What Are The Table Types Used In A Database? What Are The Primary Keys For A Table? What Are A Table's Privileges? What Are A Table Column's Privileges? How Do You Find The Number Of Rows Affected By A Sql Query? What Are A Table's Indexes? Does An Index Exist For A Specific Table? What Are The Names Of A Database's Stored Procedures? What Is The Signature Of A Stored Procedure? What Is The Username Of The Database Connection? Is The Database Connection Read-only? What Is The Jdbc's Driver Information? How Can You Determine Where A Given Table Is Referenced Via Foreign Keys? What Foreign Keys Are Used In A Table? What Is The Jdbc View Of A Database's Internal Structure? Does A Database Support Batching? What Is A Resultsetmetadata Object? How Do You Create A Resultsetmetadata Object? How Do You Express ResultSetMetaData in XML? What Is The Definition Of Parametermetadata? How Do You Get Information From A Parametermetadata Object? How Do You Create A Parametermetadata Object? How Do You Get Xml Information From A Parametermetadata Object? Why Should You Use Parametermetadata Wisely? How Do You Get Parametermetadata From Stored Procedures (oracle)? How Do You Get Parametermetadata From Stored Procedures (mysql)? How Do You Create A Driverpropertyinfo Object? What Is A Sample Application Of Driverpropertyinfo? What Connection Properties Should You Supply To A Database Driver In Order To Connect To A Database? How Does Mysql's Driver Implement Driver.getpropertyinfo()? What Is A Rowset Object? What Are The Relationships Between Key Classes And Interfaces For Rowsets? What Does Filtered Row Set? How Do You Get Metadata From A Filteredrowset Object? What Is A Rowsetmetadata Object? How Do You Create A Rowsetmetadata Object? What Is A Webrowset Object? How Do You Create A Webrowset Object? How Do You Get Webrowset's Metadata As Xml? How Do You Retrieve Metadata From Rowsetmetadata? How Can You Create A Custom Rowsetmetadata Object? How Can You Instantiate And Load A New Cachedrowset Object From A Non-jdbc Source? How Do Web Clients And Servers Communicate? What Is A Java Servlet In A Nutshell? How Does A Java Servlet Work? How Does A Servlet Talk To A Servlet Container? What Are The Advantages Of Java Servlets? What Is The Life Cycle Of A Servlet? What Is A Very Simple Servlet Example Using Jdbc? How Do You Get A List Of Table Types For A Database? How Do You Get A List Of Table Names For A Database? How Do You Get A List Of View Names For A Database? How Do You Get A List Of Tables And Views For A Database? How Do You Get A List Of Sql's Keywords? How Do You Get A Table's Primary Key Columns? How Do You Get A Table's Columns? How Do You Get A View's Columns? How Do You Get Stored Procedure Names? How Do You Get The Signature Of A Stored Procedure? How Do You Get Database Catalogs? How Do You Get Database Schemas? What Are The Exported Keys For A Table? What Are The Available Sql Types Used By A Database? What Are The Table's Privileges? What Are The Column Privileges? What Are A Table's Optimal Set Of Columns That Uniquely Identify A Row Or Record? How Do You Get A Rowset's Metadata? What Is An Example Of Rdf? How Do You Access Rdf? What Are The Applications Of Rdf?